In 1977, Congress passed The Surface Mining Control and Reclamation Act [SMCRA] giving citizens the opportunity to protect their rights and to play a vital role in the implementation and enforcement of mining laws in their communities. This page outlines those rights and introduces resources for learning more. 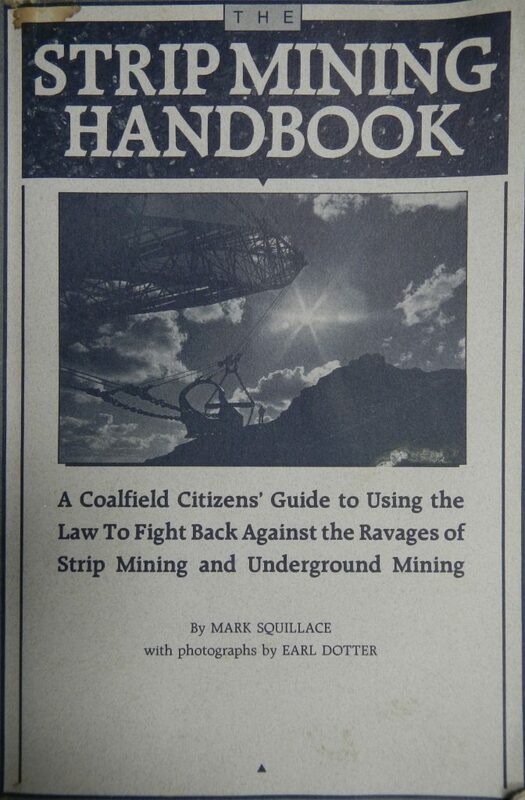 According to The Strip Mining Handbook (2009) by Mark Squillace, “The Surface Mining Control and Reclamation Act grants affected citizens the broadest rights to participate in administrative and judicial proceedings ever granted in a federal environmental statute.” SMCRA permits a state like Alabama to assume the primary responsibility for the regulation of surface coal mining and reclamation operations within its borders, but only if its laws and regulations govern surface coal mining and reclamation operations in accordance with the federal Act. See 30 U.S.C. 1253(a)(1) and (7). Effective May 20, 1982, the Secretary of the Interior (who oversees the federal Office of Surface Mining) conditionally approved the Alabama program, which is administered by the Alabama Surface Mining Commission (“ASMC”). The ASMC’s homepage contains links to useful information such as regulations, permit applications and permit revisions. 5. the right to request judicial review of the hearing officer’s decision. See Ala. Admin. Code Chapter r. 880-X-8K-.05 (right to comment, object, inspect proposed permit area and request informal conference); Ala. Admin. Code 880-X-8L-.03 (administrative review at ASMC); Ala. Admin. Code 880-X-8L-.04 (judicial review by courts). 4. the right to file a petition to designate an area unsuitable for coal mining. See Ala. Admin. Code r. 880-X-2A-.08 (rulemaking); Ala. Admin. Code Chapters 880-X-7A and 7C (lands unsuitable for mining). Finally, you also have the right to recover damages caused by violations of the surface mining regulations. Citizens may sue in state or federal court if the federal government, the state government, or any operator fails to comply with the law. See 30 U.S.C. § 1270 (federal court suit); Ala. Code § 9-16-95 (state court suit). Thanks to Black Warrior Riverkeeper’s recent lawsuit and settlement with the Office of Surface Mining, Alabama’s citizens now have the ability to exercise all of their rights under SMCRA without having to fear financial retaliatory measures by mining companies or Alabama government agencies.